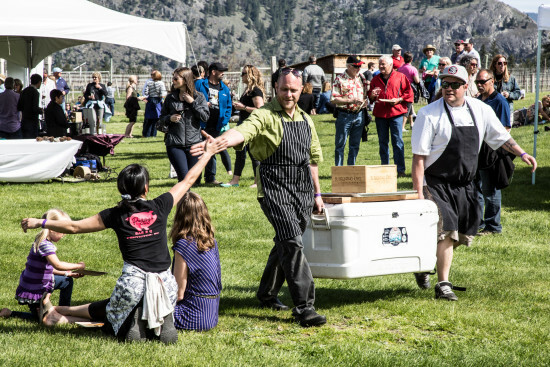 Experience Oliver Osoyoos Wine Country’s popular Pig Out Festival, now in its eighth year, on May 4th from 1pm to 4pm at Covert Farms Family Estate. Falling on a date that resonates deeply with fans of a certain intergalactic saga, the annual themed food and wine festival will embrace all things from a galaxy far, far away. Join over 1,000 people at this one-day, family-friendly festival, in one of the warmest and driest areas of Western Canada. Embrace your inner scoundrel with a costume contest and discover if destiny favours your family with epic duels held atop Covert Farms’ giant bouncy pillow. 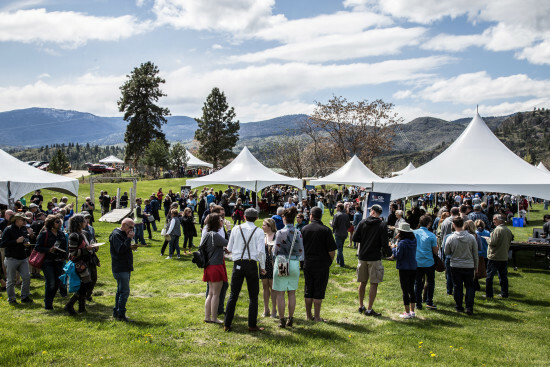 “We are ecstatic that our Pig Out Festival fell on May 4th this year – we have many serious movie fans in the region and cannot wait to create a lively, thematic atmosphere complete with delicious food and wine,” says Jennifer Busmann, executive director of the Oliver Osoyoos Winery Association. 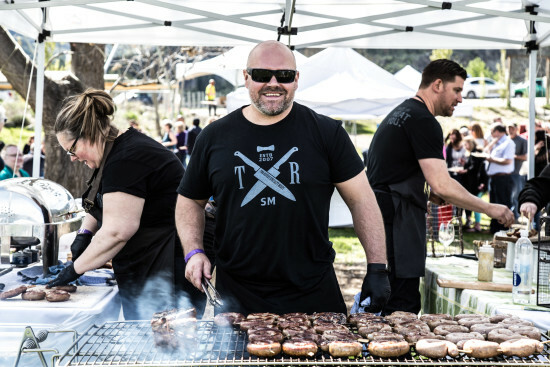 The annual pig roast brings together talented chefs from several local restaurants, including: Platinum Bench Artisan Bakery; Watermark Beach Resort; Miradoro at Tinhorn Creek Vineyards; and Oliver Eats. All 43 Oliver Osoyoos Winery Association members will be in attendance, their wines pairing perfectly with the pork-themed creations and incredibly scenic surroundings of this fourth generation organic farm, vineyard, and winery. Pig Out tickets ($65) are available online and include entertainment from local musicians, a souvenir wine glass, and of course, lots of great food and wine. Student tickets are $25 (12-18 years), and children under 12 are free. Check out this video from last year’s Cinco de Mayo-themed Pig Out. Join us for Pig Out: Do, or do not. There is no try. To purchase tickets and for more information on all Oliver Osoyoos Wine Country events, please visit: www.oliverosoyoos.com/Events. Book your Pig Out hotel package at the Coast Hotel Oliver using this link to unlock special rates. The package includes complimentary buffet breakfast, WiFi and parking, as well as access to the hotel’s indoor pool, hot tub, and fitness facilities. Rooms are subject to availability.